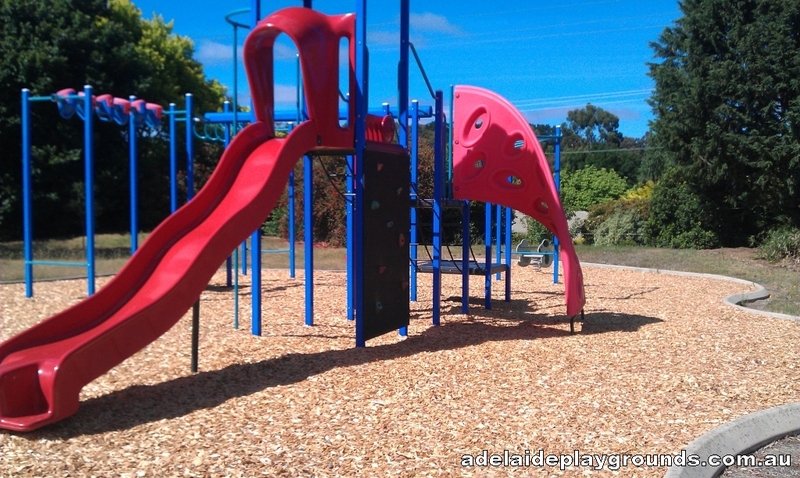 A hidden playground in a quiet area of Crafers. 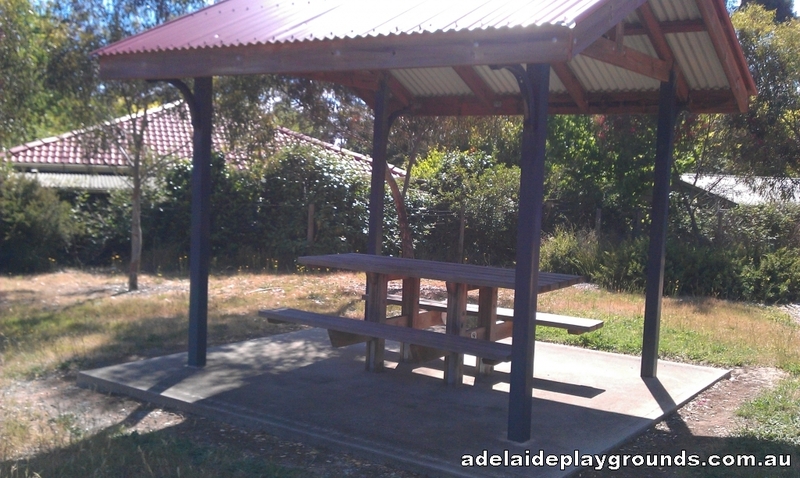 New looking equipment and a picnic table to enjoy lunch or a snack. 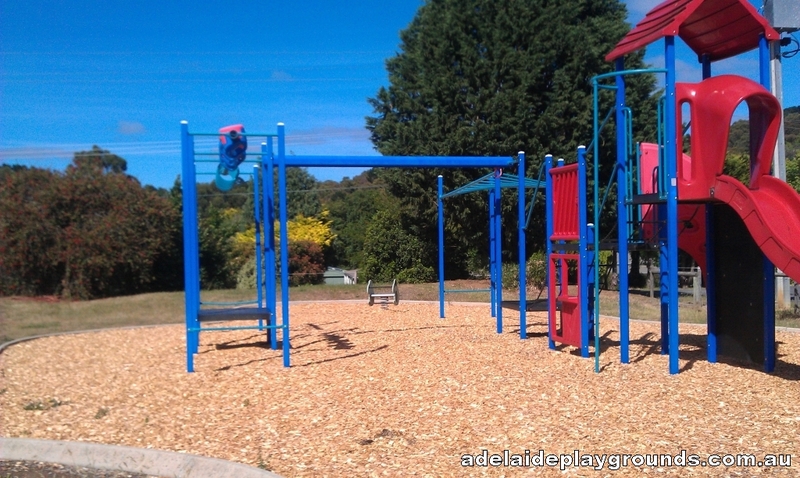 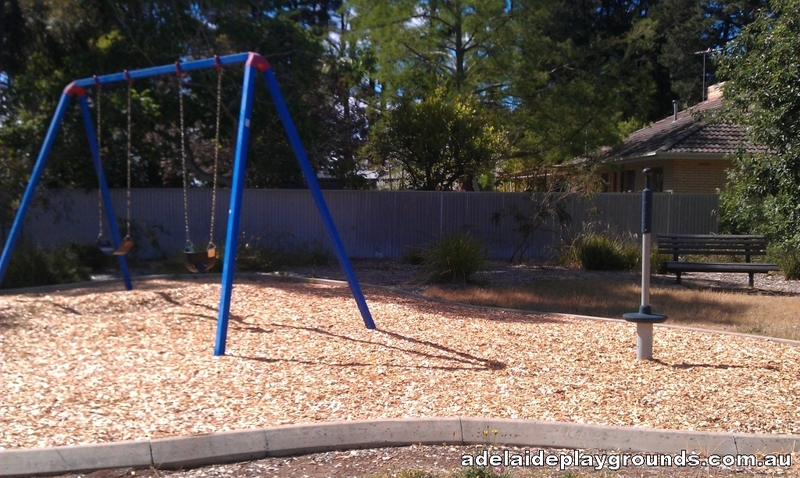 There is a toddler swing and a rocker, but the main structure is best suited for children 5 or older.